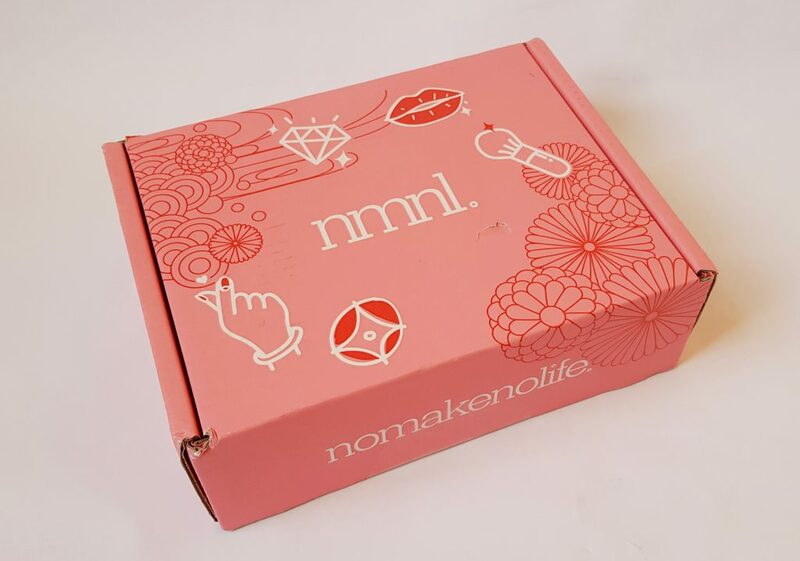 In January nomakenolife unveiled its brand new upgraded design and bigger box! 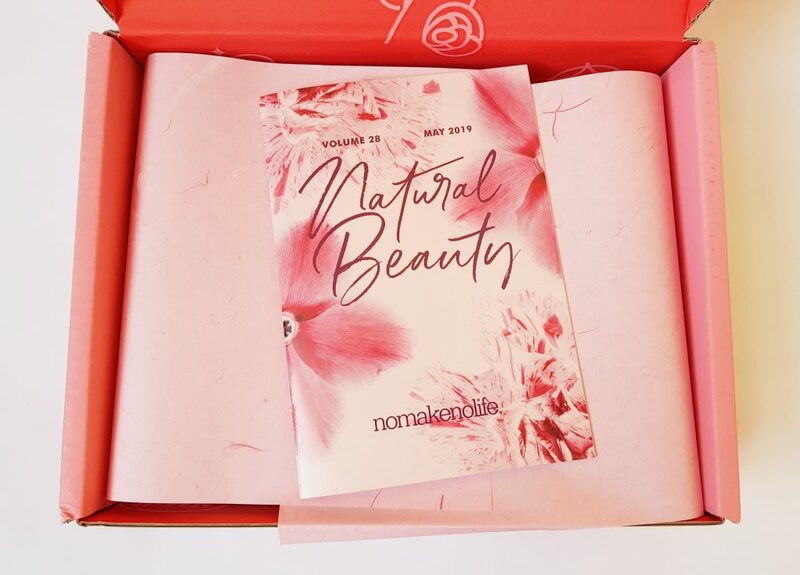 The theme for May is Natural Beauty. The menu booklet contains details of the items in the box, as well as telling you which items come from Japan or Korea. 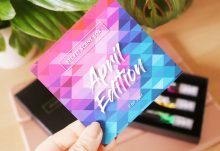 There’s also a little extra feature on one of this month’s products. 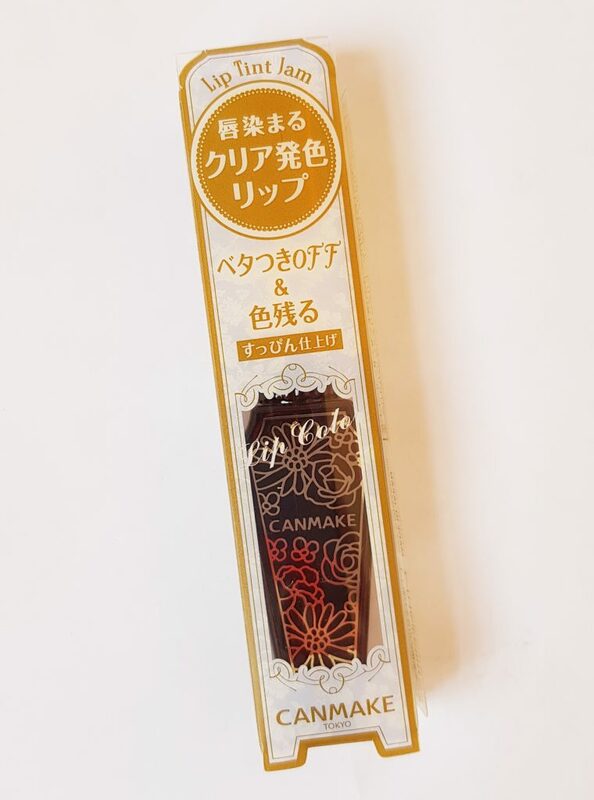 Canmake Lip Tint Jam No. 4 Espresso Jam is a thick-textured lip tint in a brown-orange colour. It gives a smooth matte finish, and you can vary the intensity of the colour using extra layers. As it’s a lip tint, it has a non-sticky finish, so you don’t have to worry about smearing it or getting your hair stuck to your lips! This Etude House Oh My Lash Mascara comes in two varieties, No. 3 Volume or No. 4 Curling. Both mascaras are rich black colour. I’ve got the curling option, which works nicely, though I’m quite lucky my eyelashes curl quite well already. I’m very thankful for these Speed Off Brush Cleaning Sheets. 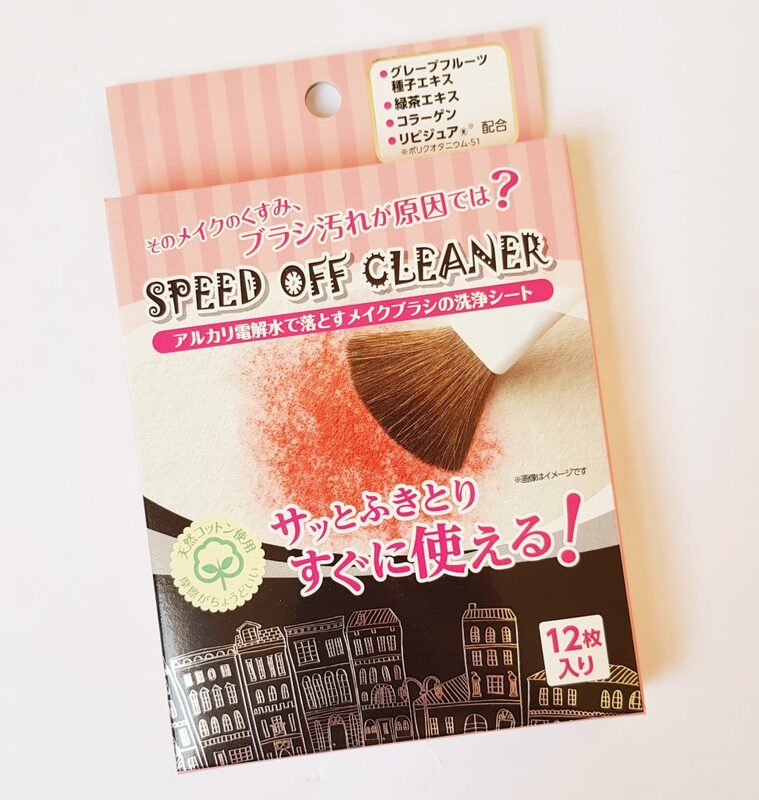 I’m not very good at remembering to wash my makeup brushes, and these sheets make it quick and easy to do so. 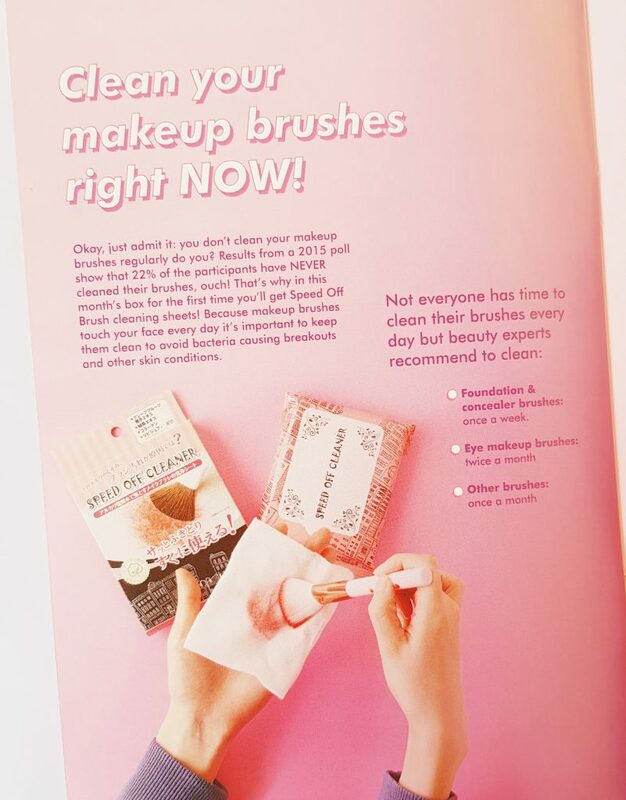 There’s also the useful notes in the booklet (see above) about how frequently you should clean your brushes. These will definitely make it easier! 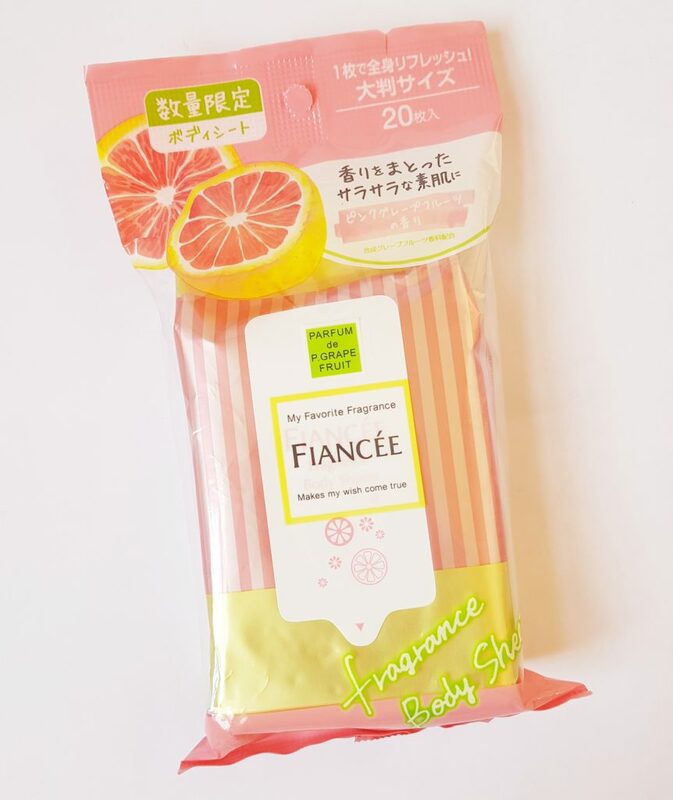 Fiancee Fragrance Body Sheets are lovely way to freshen up. While they’re not suitable for your face, the menthol gives you a lovely cooling feeling, and will be very useful as the weather gets warmer this summer. 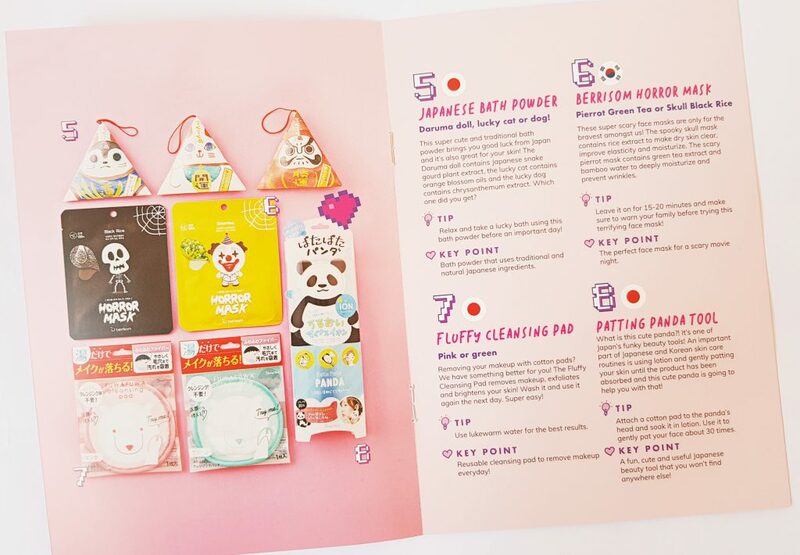 Japanese Bath Powder is a traditional beauty product. There are three varieties, each with a different extract. 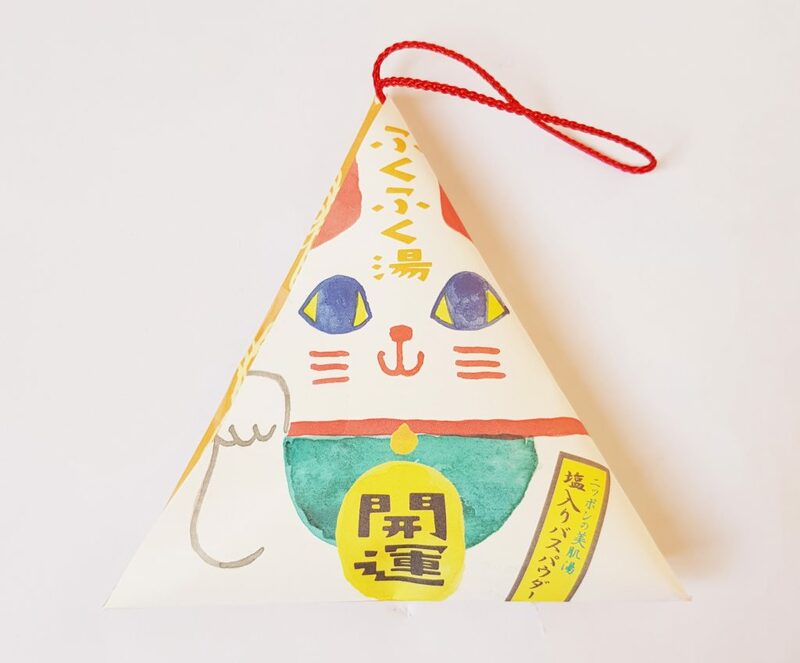 I’ve go the Lucky Cat, which contains orange blossom oils. Both the packaging and the scent are wonderful! This is a fun item: a Berrisom Horror Mask. 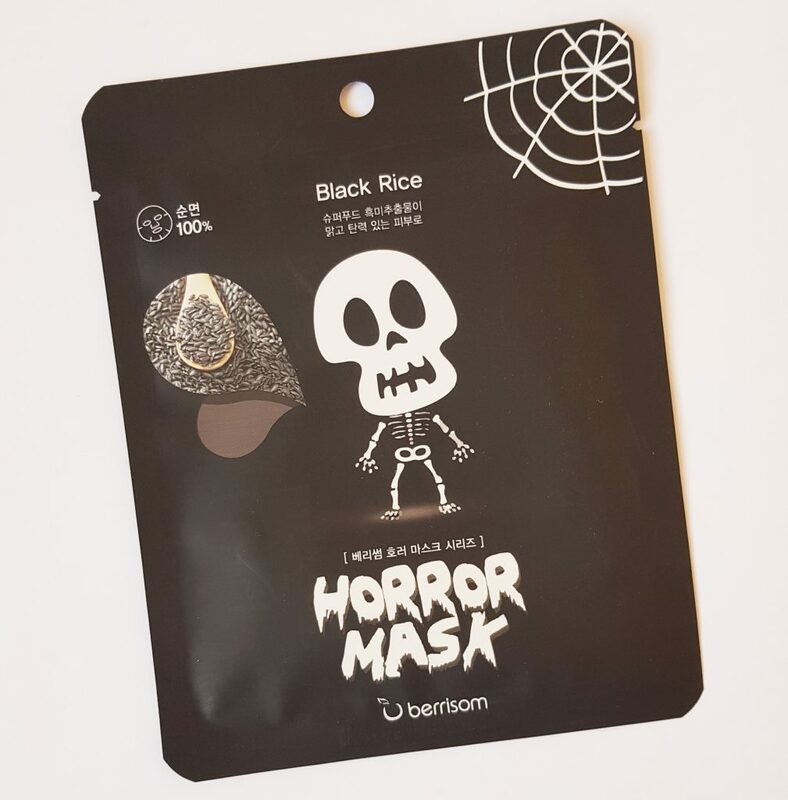 You get either a Pierrot Green Tea or Skull Black Rice, which contains rice extract for dry skin. As well as the spooky packaging, the mask itself also has a picture of a skull or a clown on it! 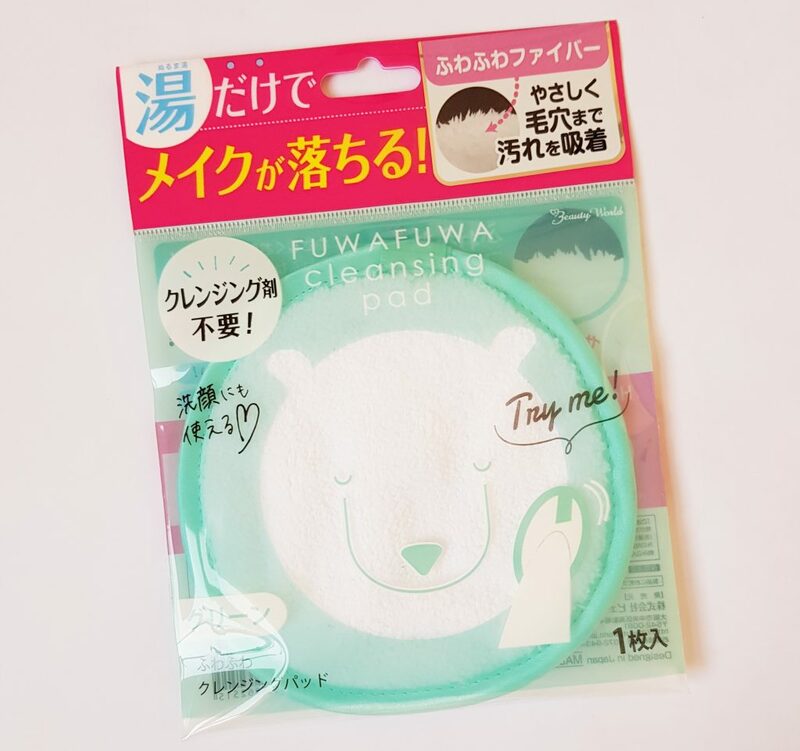 This Fluffy Cleansing Pad is made from soft microfibre and is a super soft aternative to cotton pads. You just rinse it out after using, so it’s great for cutting down on waste as well. 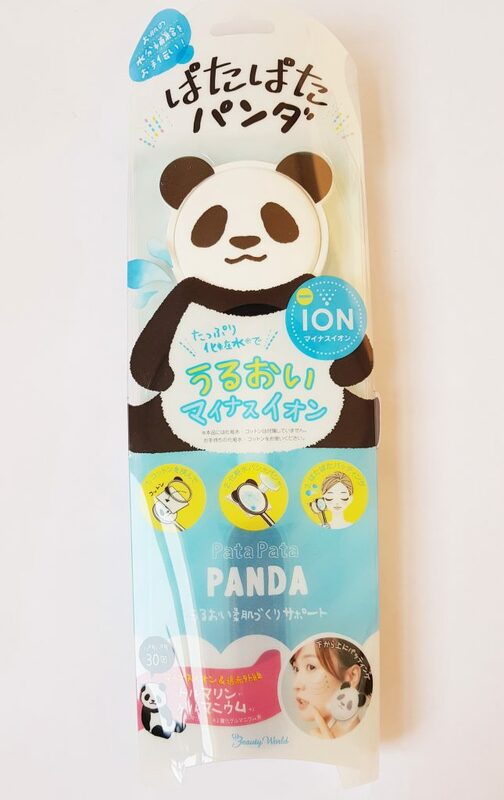 The last item is the kind of unusual beauty product that Japan specialises in – a Patting Panda Tool. You attach a pad soaked in lotion, and pat it gently all over your face. This patting technique is much beloved by Japanese women, as it avoids the rubbing that is not so good for delicate facial skin. 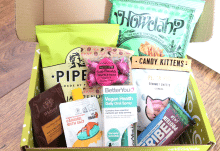 There are some very useful items in this month’s box! I always love sheet masks, and the printed ones are especially fun. 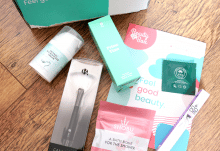 My skin is also quite dry, so I’m very happy to have the variety especially for dry skin. The bath powder will make a lovely addition to a luxurious bath, and the mascara is perfectly timed as I’m close to running out! 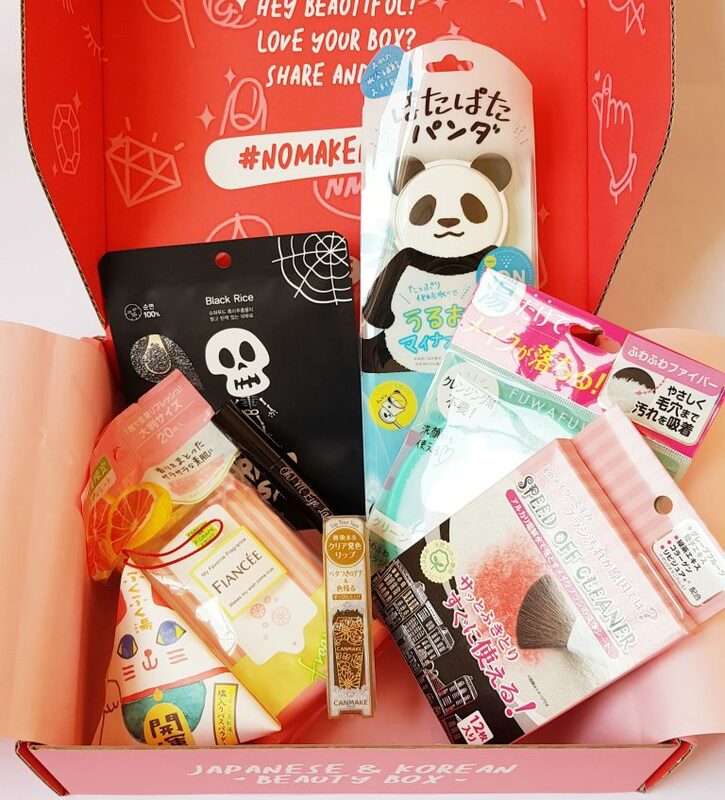 The face pad will be very useful, especially with the excellent cleanser I’ve had in a previous nomakenolife box, and the brush cleaning wipes will encourage me to keep my brushes clean! 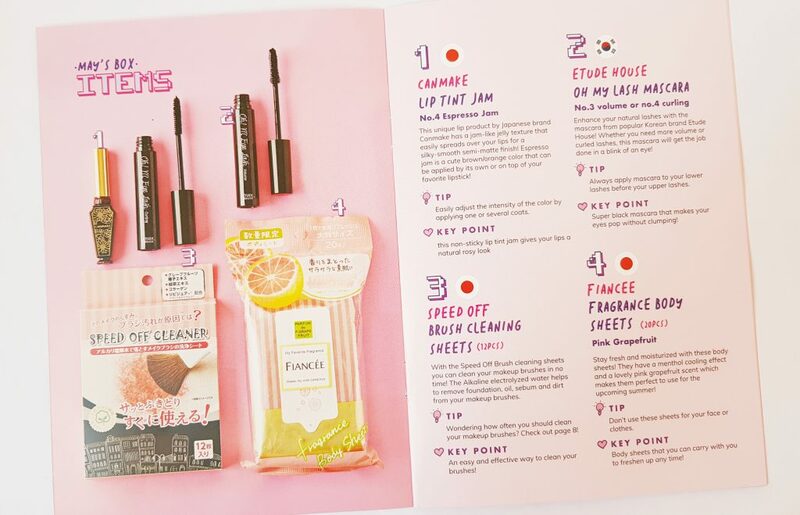 A great combination of glamour and skincare, with a little bit of fun thrown in!